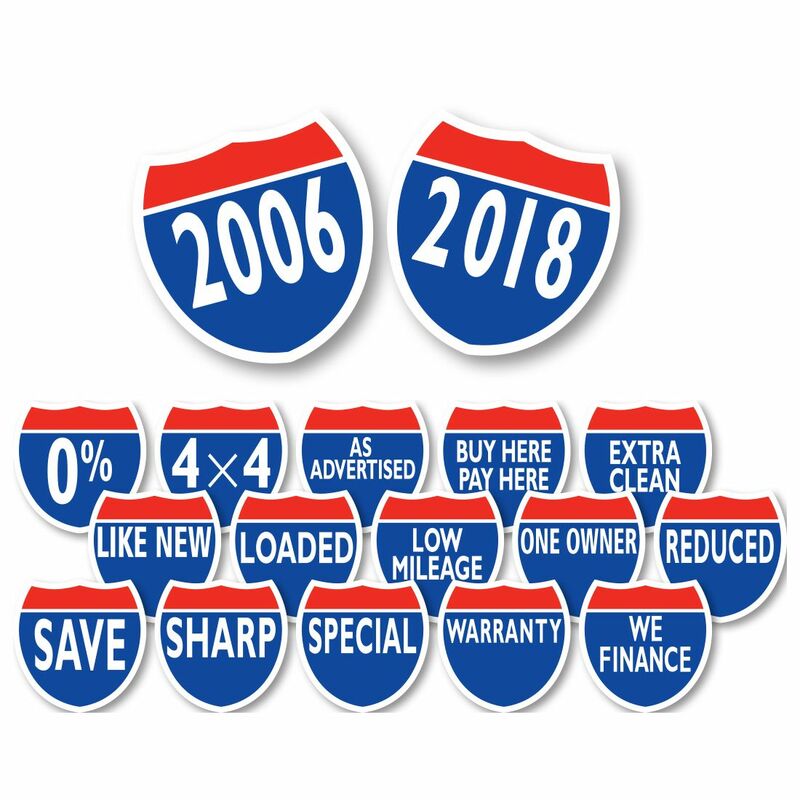 Highway Signs are a great way to advertise a feature, promotion, sale or year model. 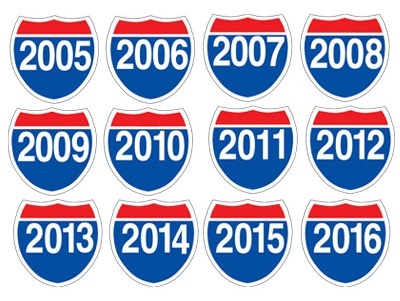 These non fade Red, White and Blue adhesive windshield signs are cut in the shape of a highway sign. Waterproof vinyl with a removable adhesive that leaves no gummy residue. 8 1/2" wide x 8 1/2" tall, neatly shrink wrapped in packs of 12 and sold by the dozen. Each sign has a chipboard backer to prevent curling during storage and is slit on the back for easy application.